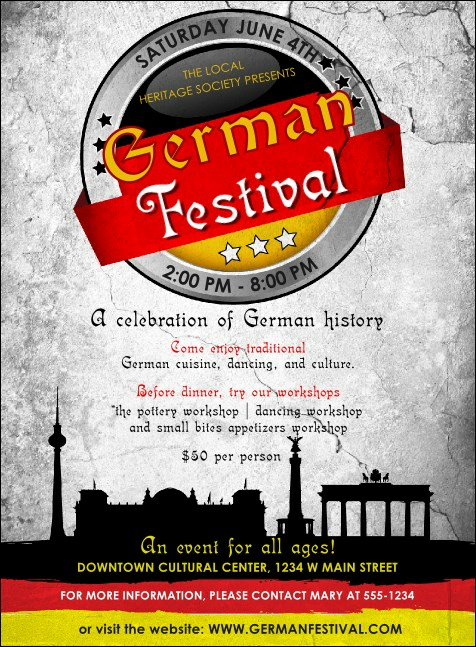 Use the German Invitation to get everyone talking about your next function! The colors of the national flag shine over silhouettes of some great monuments. This eye-catching template is great for keeping interest on the details of any party or benefit. Seventeen lines highlight all your info. Make your events even more memorable with the right invitation from TicketRiver.com.au!